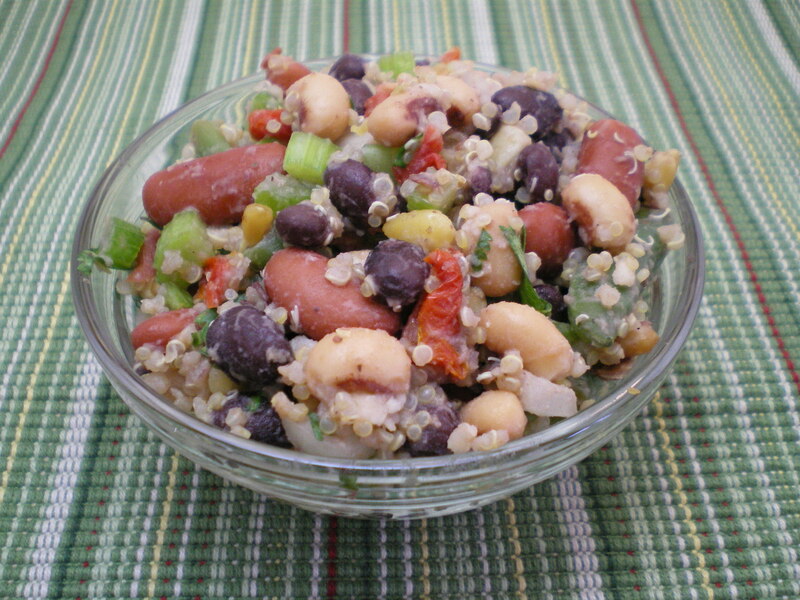 Four Bean Salad with Sun Dried Tomatoes « Great Lakes International Trading, Inc.
Cook quinoa per package directions and cool. Steam green beans and set aside to cool. Stir together the lemon juice, zest, olive oil. Drain and rinse the canned beans. Combine all the ingredients in a large bowl. Salt and pepper to taste.